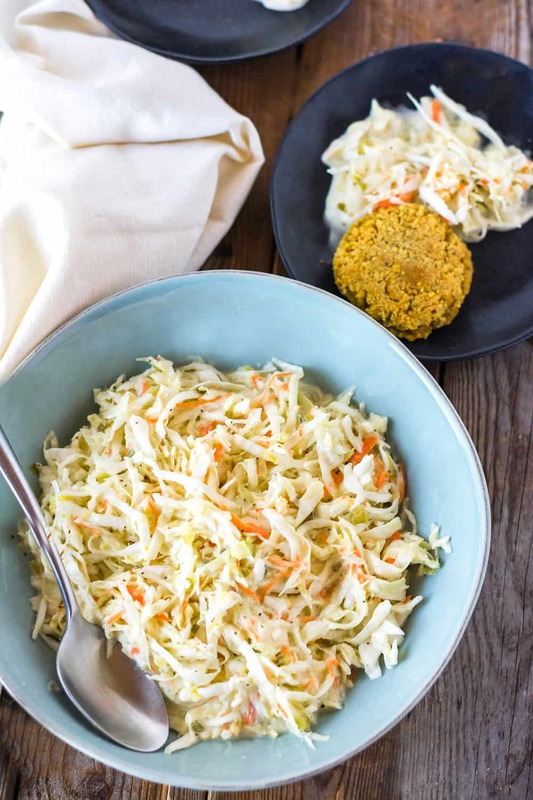 Crunchy, creamy, flavorful and sweet Vegan Southern-Style Coleslaw is the perfect American classic topping or side for your burger, hot dog, or BBQ sandwich. 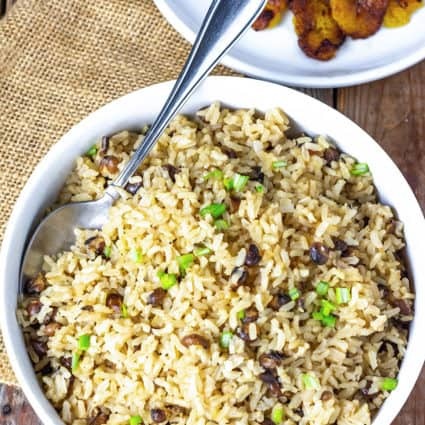 I'm so crazy about coleslaw and personally prefer the creamy kind and I love to top it in sandwiches, wraps like my Vegan Barbecue Jackfruit Wrap, Jackfruit Carnitas and I even love it as a side when I serve my Vegan Chicken Curry and Jamaican Rice and Peas Recipe. I learned to enjoy coleslaw when I lived in England about 25 years ago when the family I lived with would make a creamy coleslaw with apples, raisins, and cheddar cheese. Fast forward to now; living in Florida, I decided to make coleslaw like how it is made here in the South by adding sweet pickle relish. To prepare this Vegan Southern-Style Coleslaw, I sliced a small cabbage but you can use prepared coleslaw mix. 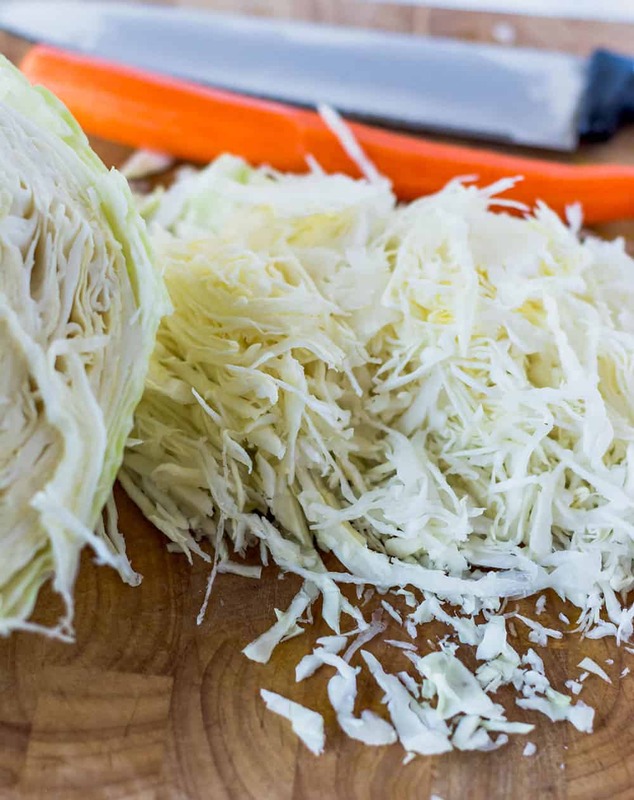 I don't like the idea of using a food processor because that chops the cabbage into very small pieces and the coleslaw tends to be soggy after soaking up all the dressing. I prefer my coleslaw having a crunch with the larger pieces of cabbage. If you have never had sweet pickle relish to your coleslaw you really should, it adds a unique flavor to the vegan coleslaw. My two favorite brands are PA's Pickle Relish and Bubbies Kosher Dill Relish for a sugar-free version. I love these versions because they are vinegar-free, I find the ones with vinegar give me heartburn. You can use a basic cashew mayonnaise recipe or any store bought vegan mayonnaise on the market like Just Mayo and Vegenaise. I am so excited to start a new facebook group, sharing lots of delicious vegan recipes, health tips etc., from our members. Please join us at Vegan Recipes With Love! 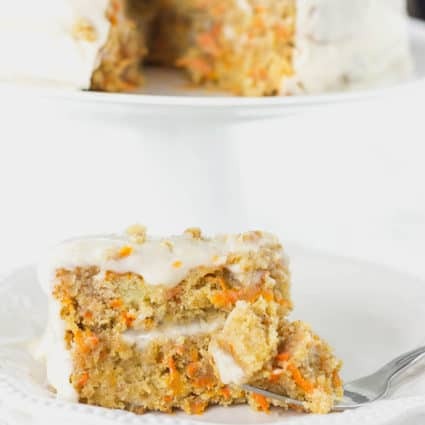 If you tried this recipe, please comment below and let us know how you like it. Also, please follow us on Instagram! Combine all ingredients in a large bowl. Mix well and cool in the refrigerator for 1 hour before serving. 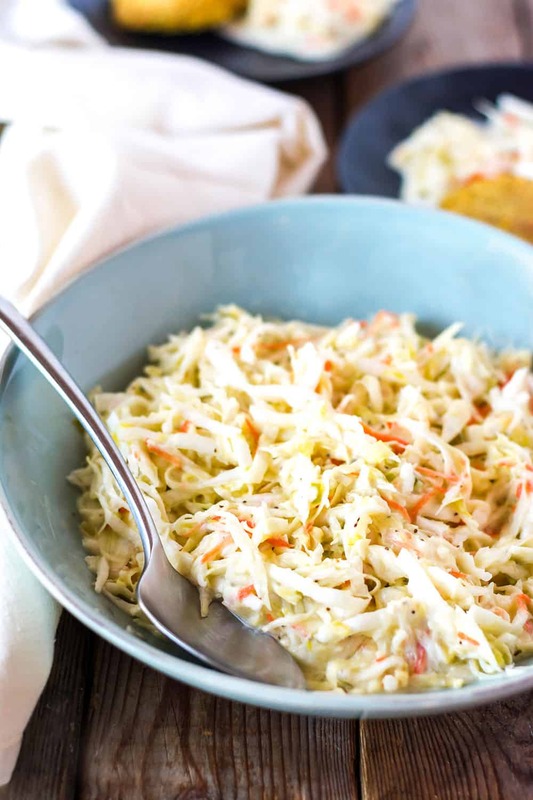 This coleslaw looks amazing, I print the recipe to try this summer. Thank you Margaret, let me know how it turns out when you do.